A former Washington insider opined that the American Republican Party loved the foreign aid program as it buys powerful friends in high places in the governments of countries that are of strategic geographic importance. But present international political and economic conditions have begun to restrict the ability of Western governments to continue giving foreign aid to developing nations. Over the past year, the UK phased out giving foreign aid to South Africa, a nation that has a chronic shortage of teachers, with many prospective students needing school accommodation and greater access to higher learning. Local residents who live in developing nations are gaining or have already gained access to social media and are posting their insights into local political affairs. There is ongoing criticism from nations like India directed at national education departments and proclaiming the superiority of private schools that operate free from government interference. While the governments of several developing nations do occasionally intrude into the affairs of private schools, they seem less intrusive than the governments of Western nations that literally try to exert some form of control over private schools, even to the point of banning home-schooling, as is the case in Germany. Several American states impose regulations on private schools and on home-schooling, with states such as California banning it outright, compelling parents to register their children at state or state-approved schools. While most industrialized nations enforce compulsory school attendance, developing nations like South Africa do not. Their economies are constrained and they may have more young children of school age than places in schools, plus a shortage of teachers. Private groups are often free to raise private funding and organize private schools for children from economically challenged families, as has occurred in parts of India. 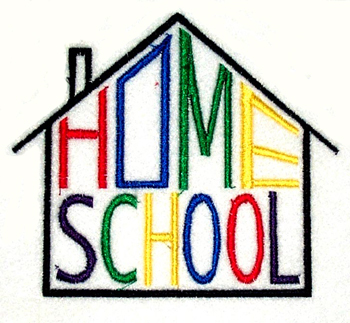 Private individuals have organized one-room schools in villages modeled after the one-room schools that were once common across Canada and the USA. Prior to state authorities regulating and asserting control of schooling, student-paced learning was common in one-room schools where a single teacher often taught several young children of different age levels. In the modern era, a teacher in a private one-room school in a developing country has the assistance of computer and Internet-based programs of study, such as those offered by the Khan Academy. The absence of state control over such schools provides entrepreneurial teachers significant academic freedom. Entrepreneurial teachers can involve interested parents or relatives in the education of young children, coaching parents to teach reading skills based on the recognition and sounds of each letter of the alphabet to young children in a “hands-on” environment, for instance. An entrepreneurial teacher can also coach parents in developing numerical and arithmetical skills in young children. The active involvement of a parent or relative, who may be at home raising one or more children, can develop the joy of learning for children in a learner-paced environment where the parent takes on the role of the teacher in a one-room school. A successful Canadian precedent suggests that it is possible to teach the international language of business, English, to young children who speak some other dialect in developing nations. Courtesy of Bert and Ernie on the daily weekday Sesame Street television program, children from French-speaking families who lived in francophone communities across Eastern Canada acquired the fundamentals of communicating in the English language. Recordings of early broadcasts of such programs could go far in teaching the international language of business and commerce to young children living in developing nations and who speak a local dialect at home. Modern information and telecommunications technology can provide willing private individuals with the opportunity to provide learner-paced education to small groups of young children who live in developing countries. In such countries, the number of children usually exceeds the number of available spaces in government schools. There are records of inspirational teachers employed in poorly-funded schools in developing countries where students actually achieved superior academic results. Economically and fiscally-constrained governments of developing nations that are under pressure to reduce state expenditures may actually allow private individuals to offer educational services independently of state funding and control. In the late 1950s and early 1960s, Ontario endured a chronic shortage of schoolteachers. Parents often supervised the classes of lower grades. Government-run schools hired tradespeople directly off the shop floor to teach technical subjects dealing with such topics as auto mechanics, electricity, sheet metalworking, drafting, woodworking and welding in high schools. The abundance of courses of study that are available on CD and on the Internet allows people to develop and organize programs of study for interested learners located almost anywhere in the world. Their initiative would ease the fiscal burden on the governments of developing nations. While governments in industrialized nations aim to maintain centralized control over education, ongoing fiscal and economic constraints on the governments of developing nations would decentralize control of education to the local, neighbourhood and residential level. A future generation of students in the developing world may acquire fundamental language and numerical skills along with expertise to allow them to function in the economy either as skilled workers or as entrepreneurs whose acquired innovative skills could create new areas of productive economic activity. Government officials of industrialized nations that provide foreign aid, however, are likely to oppose such decentralized control over education.